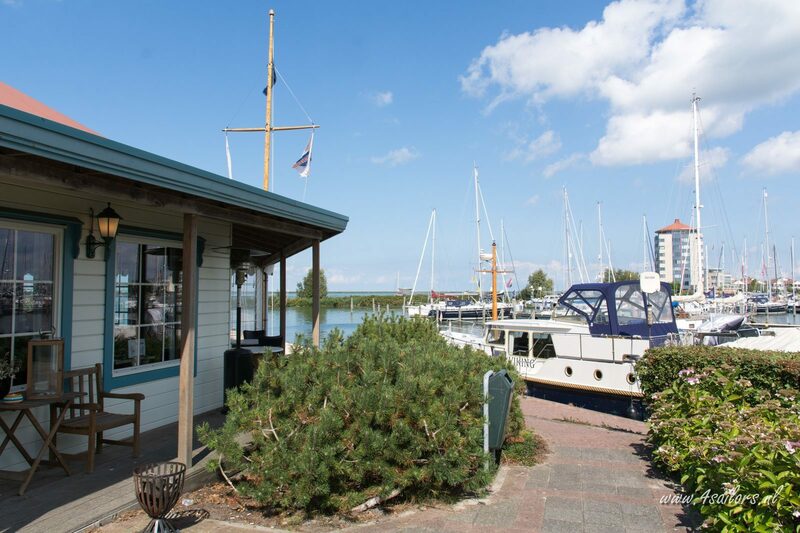 Marina Parcs has various accommodations at marinas in Amsterdam, Almere, Lelystad, and Naarden. Here, you can book a wonderful stay by the water. Enjoy your holiday in a harbor lodge, chalet, safari tent, tiny wagon, or houseboat. This will definitely ensure a unique holiday! During your holiday on the water at a marina, you can practice many different water sports, including sailing, kite surfing, surfing, SUP boarding, fishing, or just taking a dip in the refreshing water. There is also plenty to do outside the park. 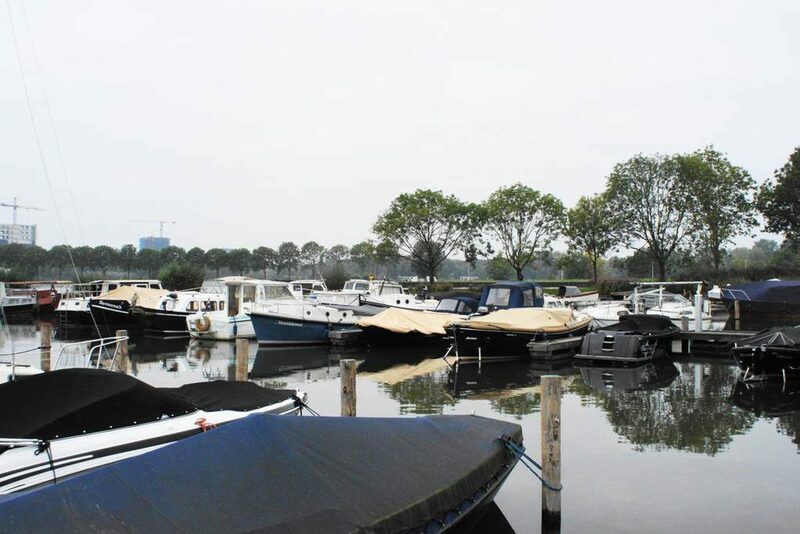 All of the Marina Parcs are just a short distance away from the Dutch capital of Amsterdam. Amsterdam is great for shopping, enjoying drinks on a terrace, or for example, visiting the Rijksmuseum. 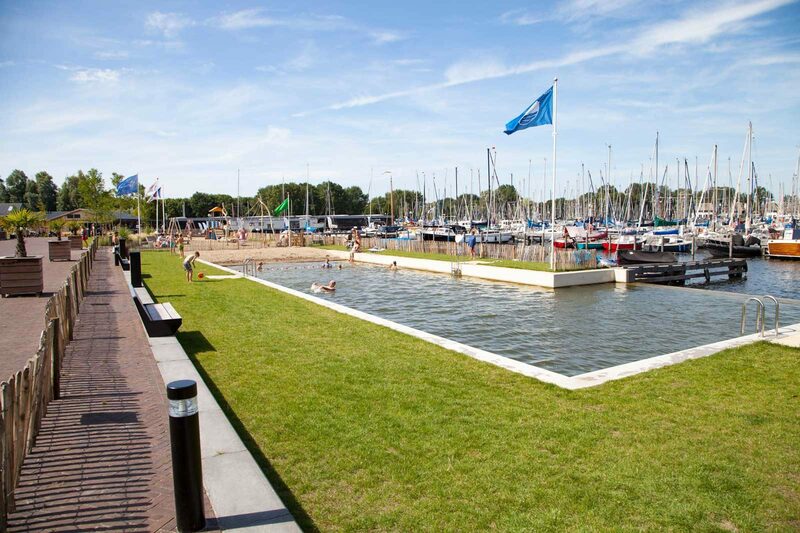 Water, boats, and beach... Marina Muiderzand has everything for lovers of water and boating. 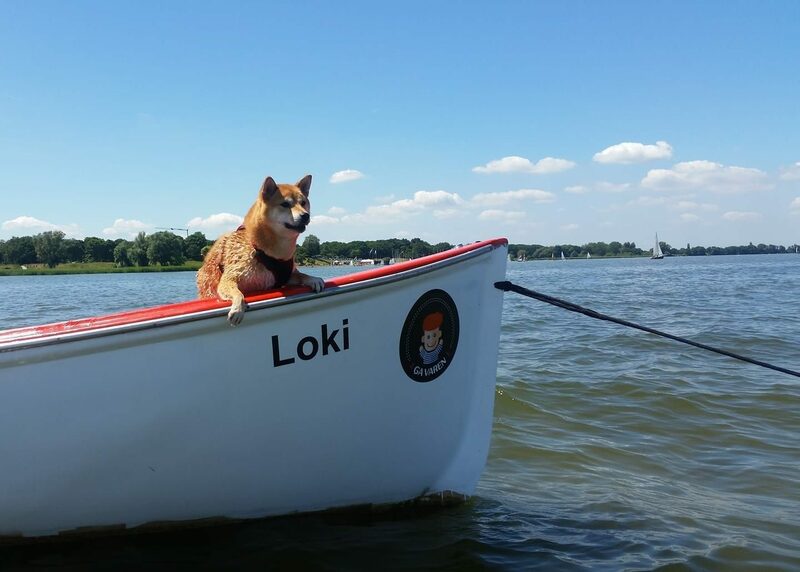 Competitive sailors, sunbathers, and nature lovers: welcome aboard! Marina Muiderzand, situated against the dunes of Almere, offers everything a real water sports enthusiast could wish for. 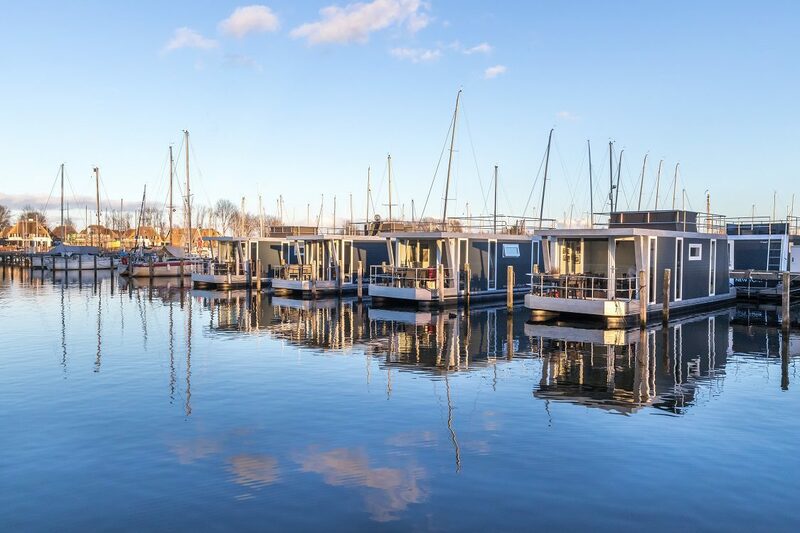 This marina is the perfect base for sailing on the IJmeer, the Markermeer, the IJsselmeer, and the Randmeren. After a long day at the water you could make use of the different facilities in the harbor and in the evening you can have a good sleep in your safari tent, dune lodge, tiny wagon, water bubble or chalet. Marinaparcs offers unique overnight stays in this small cozy marina in Amsterdam. Enjoy the large ships that sail along the Amsterdam-Rhine Canal. The perfect starting point for a visit to the city center of Amsterdam. Wherever you come from and no matter how you travel, the Tineke Bakker Marina is always easy to reach. The marina is close to the Amsterdam ring road; the A10. The direct tram connections to the city center (3, 14, and 26) have stops that are about a 15-minute walk away. Park, forest, and marina all at once! A green, wooded marina park by the Gooimeer lake, and near the design and art town of Naarden Vesting. A wonderful place for all kinds of leisure activities. Welcome to Naarden Marina! 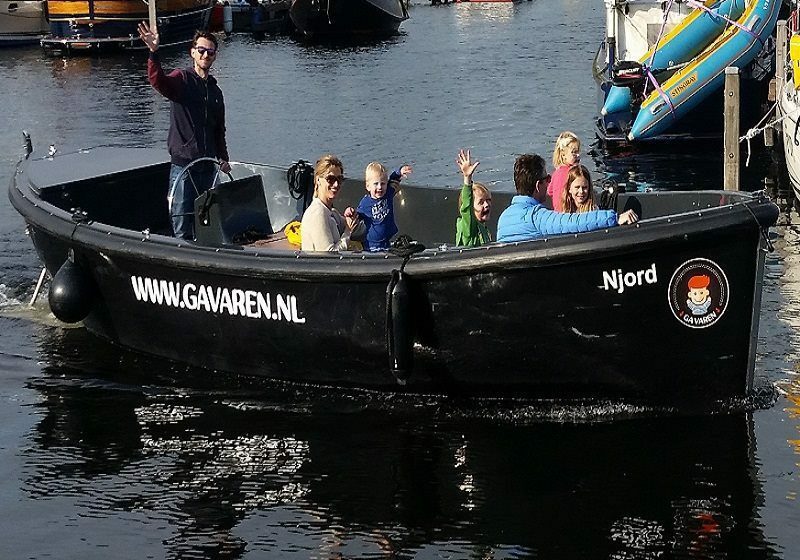 Naarden Marina, located in the beautiful Naarden Forest, offers everything a true water sports enthusiast needs. 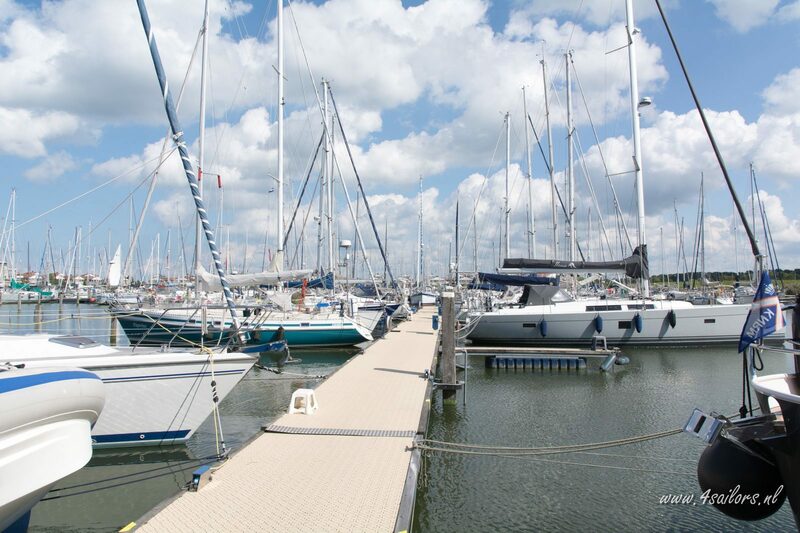 This marina is the perfect base for sailing on the IJmeer, the Markermeer, the IJsselmeer, and the Randmeren. You can even reach Amsterdam within 30 minutes by public transportation! The Bataviastad outlet store is only 1km from the marina. Enjoy a day of shopping and the many restaurants. Free parking in the harbor, bicycles are available. Your own transportation is a must to discover this 'new land'. You can use of all the facilities that the marina has to offer, such as food & drinks (restaurant and bar) – terrace – boat rental – laundry – bicycles – excellent sanitary facilities – free Wi-Fi – playgrounds for the kids – BBQ – sailing event beach, and much more.